(Newser) – Former Navy SEAL Matt Bissonnette may have damaged national security by publishing a firsthand account of the raid that killed Osama bin Laden without running it by government censors first, the Pentagon warns. 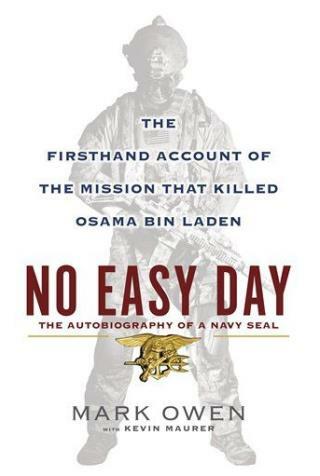 No Easy Day leaks "sensitive and classified information," and its author violated non-disclosure agreements, says a military spokesman. "When you have special operations units that perform these missions, there are tactics, techniques, and procedures—not to mention human life—that are in play," he told reporters, adding that it was a "no-brainer" that a book about a classified operation should have been submitted for review. If he DID violate a non-disclosure agreement and they DON'T prosecute, it will be a precedent for others to do the same. Controversy doesn't make anything true. You can be played from all ends of a story. This really doesn't strike me any differently than one of those celebrity gossip articles they always have Evann write. None of us were there. There is no body. Seems like it may be wise to continue waiting to fully form an opinion about the entire operation and the current topic at hand.